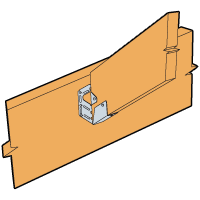 Determining the slope and skew angles related to hip and valley beams can be a challenge made even more difficult when the roof slopes on each side if the hip or valley are different. This Slope and Skew Calculator makes it easy by performing all of the necessary trigonometry for each hanger condition in the roof. 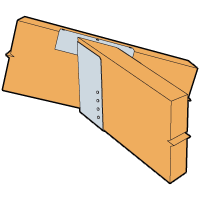 Simply enter the roof pitches and press the calculate button, the calculator will supply the direction and precise angles for the framing members as well as the connectors. 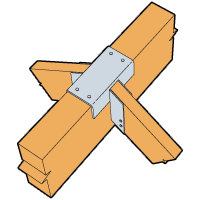 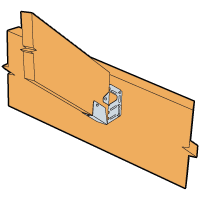 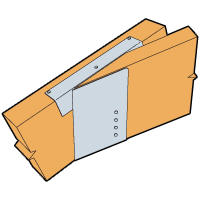 See our MSC Multiple Seat Connector webpage for hangers to support a ridge and two valley beams. 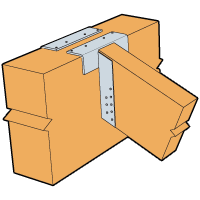 See our HRC/HHRC Hip Ridge Connectors webpage for hangers to support two hip beams. 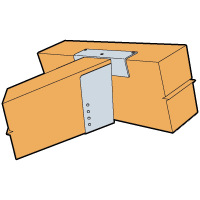 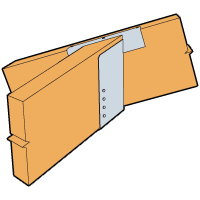 Use the Joist Hanger Selector for assistance in determining the proper hanger for the application. 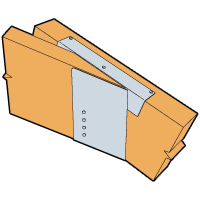 See our Hanger Options Matrix for information on ordering modified hangers.